The University of Kentucky Debate Team had a strong first semester of their 2016-2017 season, led by the exceptionally strong freshmen team of Dan Bannister and Anthony Trufanov. Their season started at the Georgia State University tournament where, for the fourth year in a row, the team made it to the Sweet 16 round of competition: a recurring achievement for the team this semester. 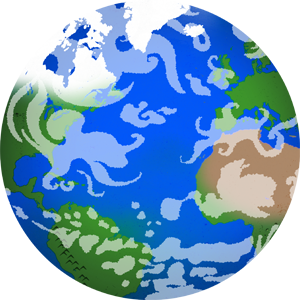 Out of the 105 teams there, the team of Theo Noparstak and Holmes Hampton finished as the 17th overall seed and the team of Bannister and Trufanov finished as the 12th overall seed. Bannister, a political science major from Saint Paul, Minnesota, was the 19th overall speaker in the Georgia State competition and the only freshman to make it into the top 20 speakers. Additionally, Kentucky had four of the top 30 speakers in a field of 210 total debaters. In the Run of the Roses Round Robin held at the University of Kentucky, the Trufanov and Bannister team continued their exciting freshman campaign with a 4-4 record, and finished as the 10th overall seed out of 141 teams at the Henry Clay Invitational, also held at UK. Two other Kentucky teams also made it to the elimination rounds of the Henry Clay Invitational and the team of Noparstak and Amar Adam finished as the 14th overall seed. Next, the team traveled to Gonzaga University where two teams reached the Sweet 16 round. They finished out the semester at Wake Forest University, ending on a strong note. The team of Bannister and Trufanov reached the Sweet 16 round for the fourth straight tournament and the Noparstak and Adam team reached the quarterfinal round by defeating the top seeded team from Wake Forest. For the second year in a row, Kentucky has two teams in the top 16 heading into the second semester of competitions where they will travel to the U.S. Naval Academy and Northwestern University, before heading into the National Debate Tournament. But first, the team is heading to sunny California over winter break for the California Swing tournament. Dave Arnett is the director of the Debate Team, which is housed in the College of Communication and Information. The co-ed team has 12 members ranging from freshmen to seniors, pursuing majors in various fields such as political science, economics, and environmental and sustainability studies. 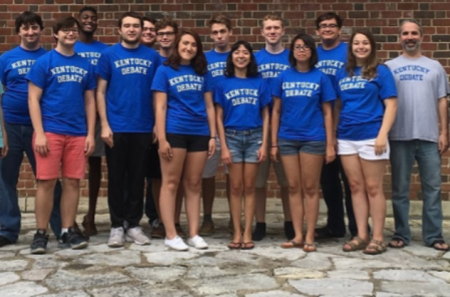 To follow along with the team as the compete next semester, head to their website: https://ci.uky.edu/UKDebate/.